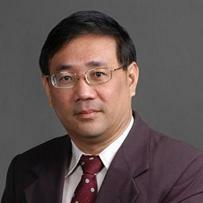 Frontiers in Built Environment is very happy to announce the launch of the journal’s latest section – “Sustainable Design and Construction“, under the stewardship of Specialty Chief Editor, Prof Nyuk Hien WONG (National University of Singapore), pictured. Frontiers in Built Environment is part of Frontiers open-science platform and research network, and one of our newest journals, having launched in February 2015. The journal series won the Gold Award for Innovation in Publishing by the Association of Learned and Professional Society Publishers in 2014 and is one of the leading open access publishers in the world. The “Frontiers in” journal series, supported by over 160,000 leading researchers worldwide, has already published 25,000 peer-reviewed articles across 50+ journals, which receive 6 million views per month.